The largest city in the state of Kentucky was put on the map by horse racing and baseball bats, but few are familiar with its retail scene. As anchor to one of the larger trade areas in the region, metro Louisville consists of eight counties in northern Kentucky and four in south central Indiana, and is bisected by the meandering Ohio River. Over 1.3 million people call the Louisville area known as Kentuckiana home. When not sipping mint juleps, Kentuckianans are shopping in a handful of areas around the region. One of the largest of these areas is east of downtown along US 60, known to locals as Shelbyville Road. Home to two of metro Louisville’s enclosed malls, this area is undoubtedtly the most important center of retail in the entire region. Extending to the east along US 60 and Hurstbourne Parkway, this retail area is home to numerous strip centers, big box stores, and all the ugly chain retail stores everyone loves to hate. 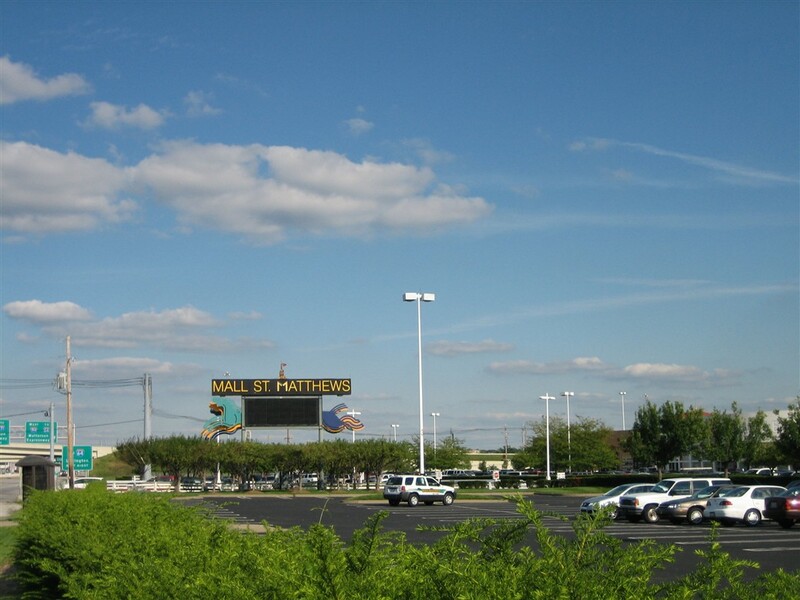 One of these malls, located on the east side of I-264 along US 60, is called Mall St. Matthews. 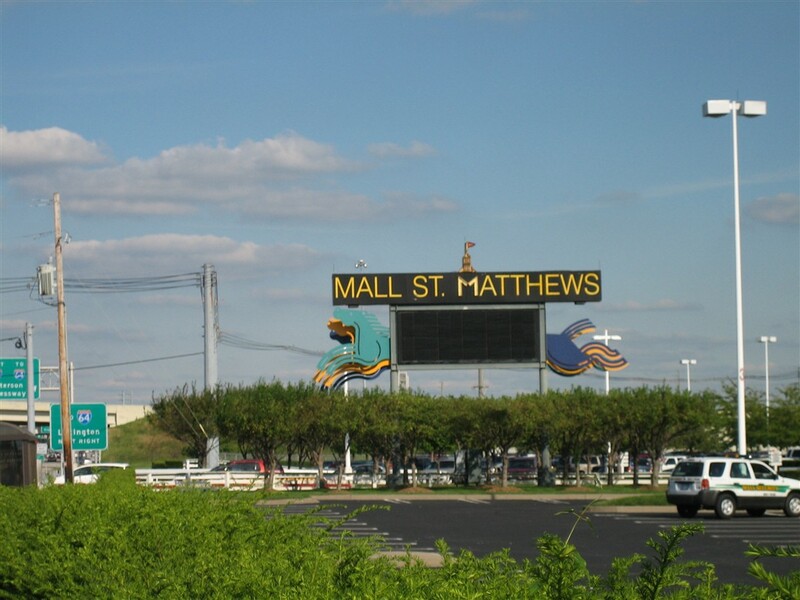 Mall St. Matthews began its rollercoaster life in 1962 as simply “The Mall”, and opened featuring anchor stores A&P, Kaufman-Straus, Rose’s, and JCPenney. 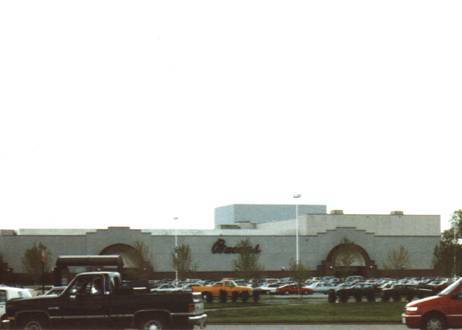 Throughout the 1970s and early 1980s the mall remained popular, yet required updates in response to competition from other Louisville-area centers. 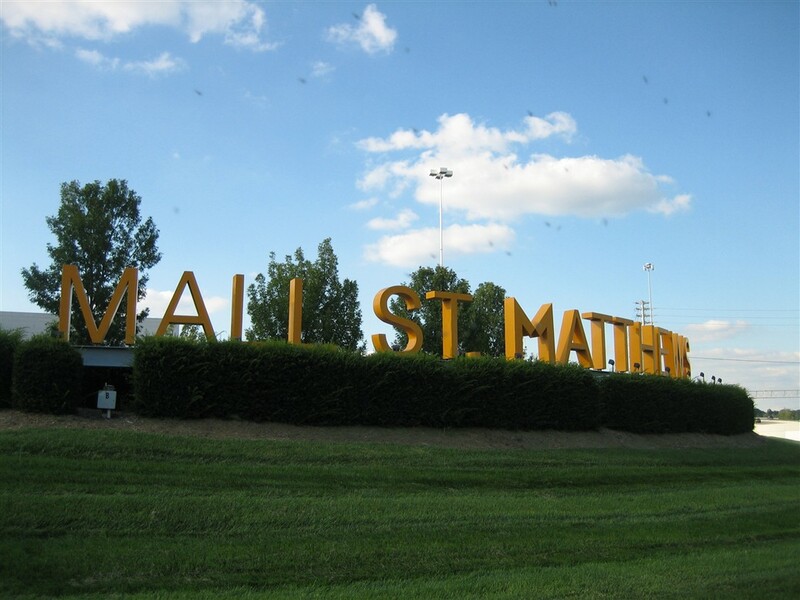 This involved first changing the name from The Mall to Mall St. Matthews, and later updating with a food court and many expansions. The Kaufman-Straus store closed and was replaced by Stewart Dry Goods and later L.S. Ayres, and later Louisville-based Bacons which moved from a freestanding store down the street. 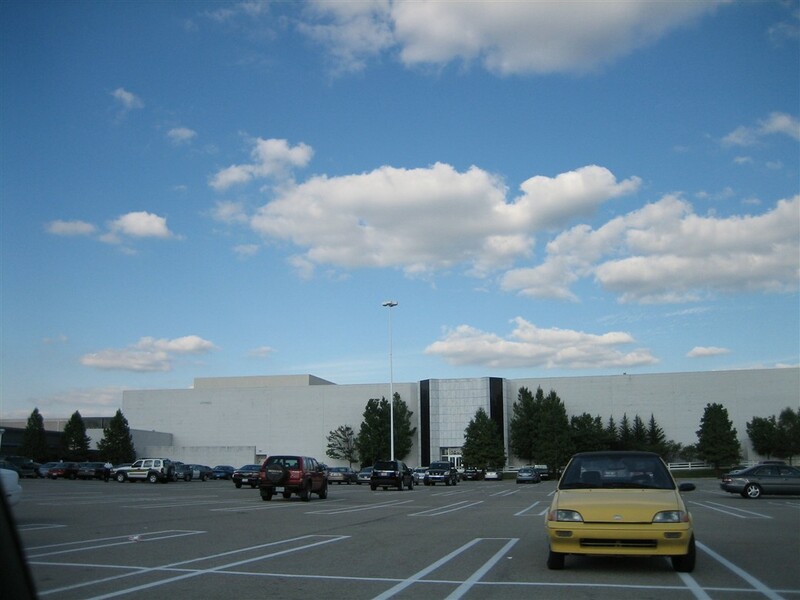 This occurred in the late 1980s, and sparked a resurgence of interest in the mall over other Louisville-area malls. 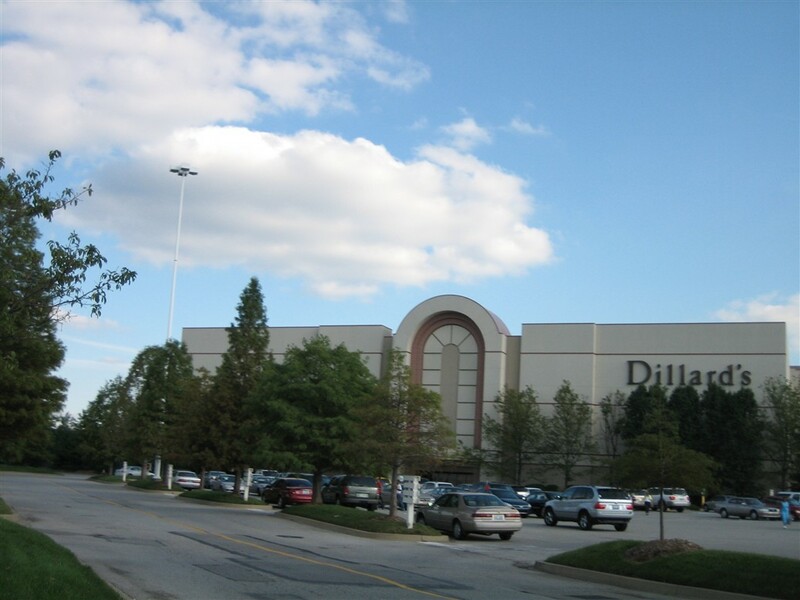 Retailers once again clamored to be in Mall St. Matthews, and again Rouse, the mall’s owner, expanded the mall in 1995 with a new wing and the addition of Dillards, and later in 1997 with the addition of Lord and Taylor. The late 90s saw the peak of popularity for Mall St. Matthews, at least in terms of anchor diversity. 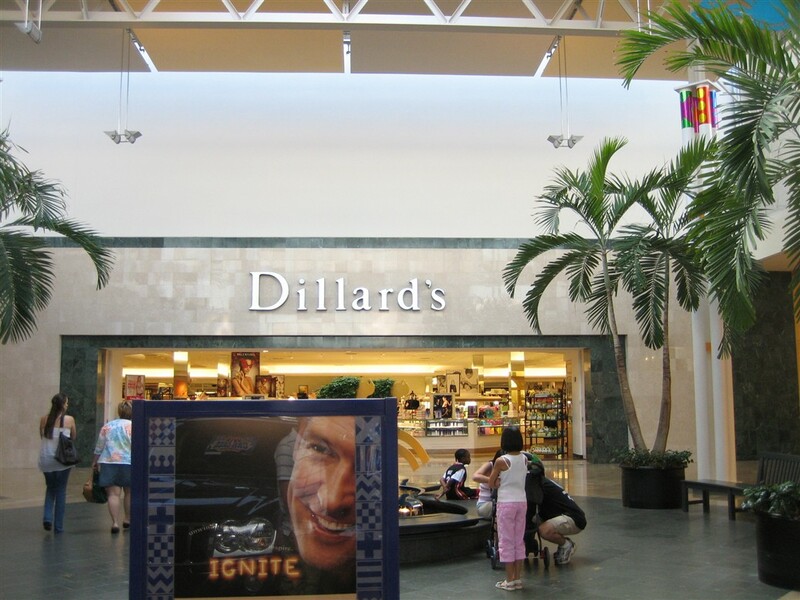 In 1998, Bacon’s was merged into Dillards, and Dillards used the extra store to split its offerings at the mall into two giant anchor stores. Such practice has been popular at many malls nationwide as anchor stores consolidate, with the split offering men’s, children’s, and home departments in one store and the entire other store devoted to women’s in many cases. In 2000, Nordstrom expressed interest in moving to the mall but the deal was dead in less than a year when no agreement could be reached with Rouse. Then, in 2004, Lord and Taylor left the mall amid corporate parent woes and the consolidation of many of their locations within core markets. 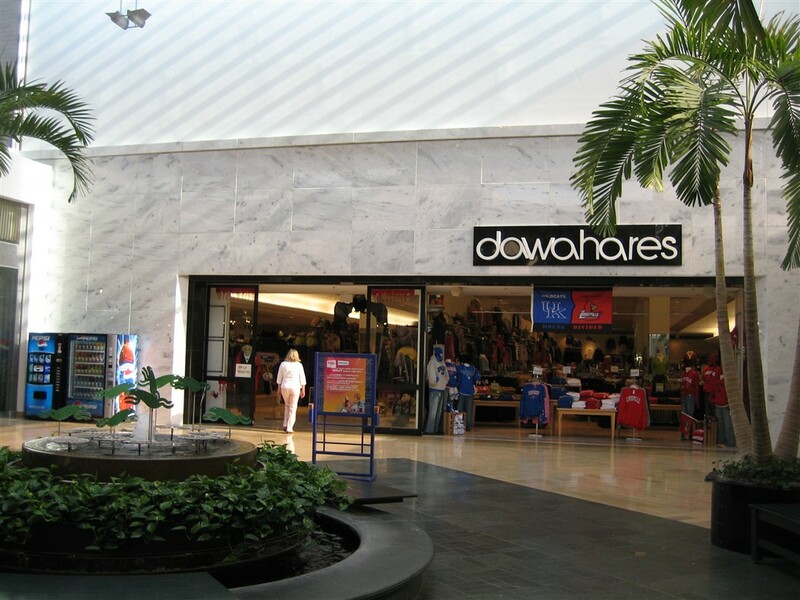 Until 2007 part of that store was occupied by regional junior anchor Dawahares, but that closed also. 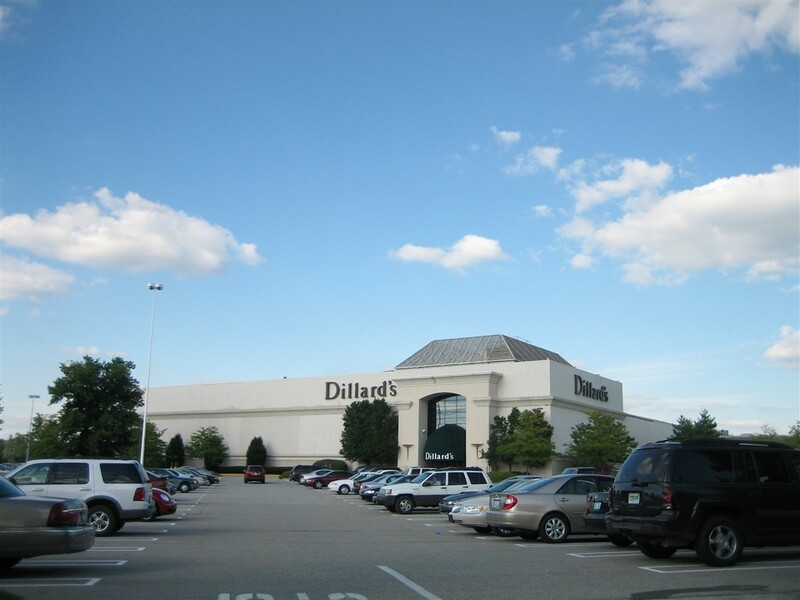 Currently Mall St. Matthews has one anchor closed, and it has been speculated that Dillards will sell its store to Rouse for mall redevelopment (Lifestye portion anyone?) and will relocate to the former Lord and Taylor store. 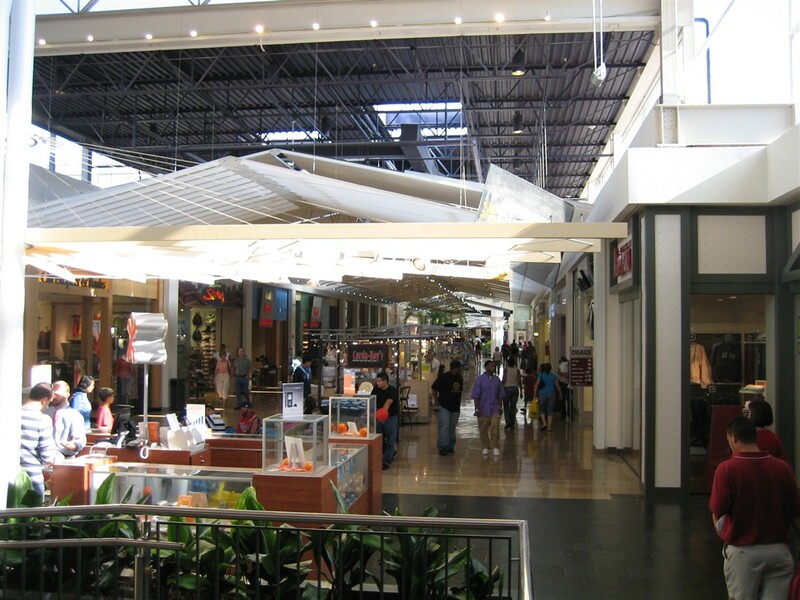 The rest of the mall is currently very popular, and with its sister-mall across the street Oxmoor Center provides much of the upscale and mid-tier offerings in the Louisville area. 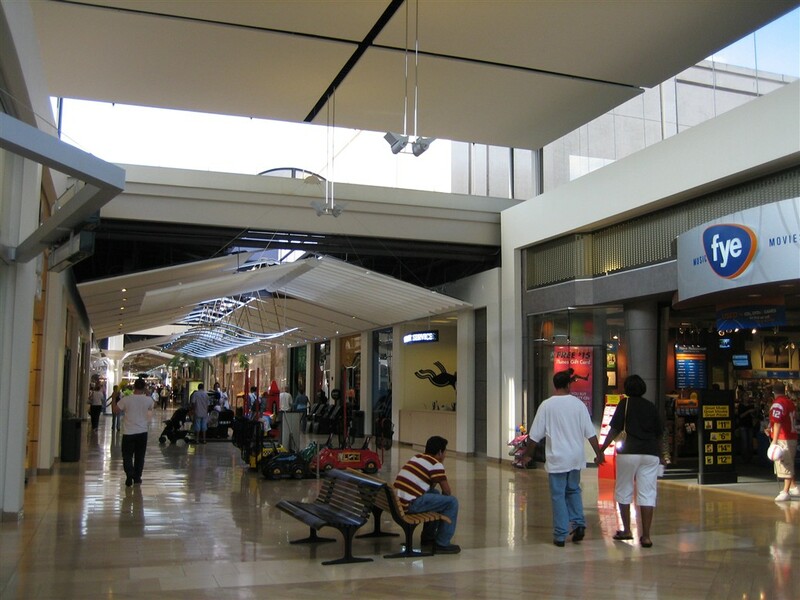 As far as design, due to competition both Mall St. Matthews and Oxmoor Center are frequently renovated and very modern looking. The mall is set up like an S with anchor stores at the cruxes, yet currently only has 2 anchors: Dillard’s (2 locations) and JCPenney. 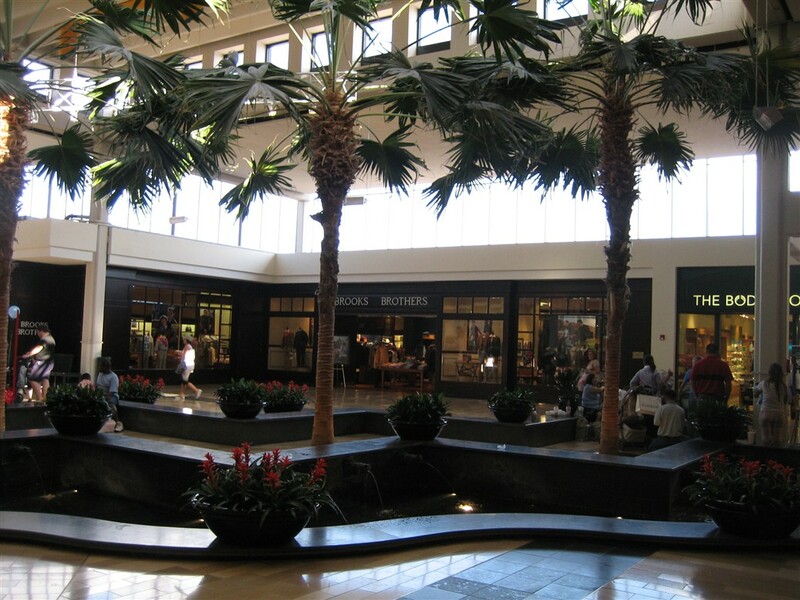 The mall is unique in that it has large courts at the cruxes of the S, with giant fountains and tall ceilings, reminiscent of years past. Rouce is now general growth properties. They should add a cinema deluxe the National Amusements brand were the Dillard’s store is closing. Plus some restaurants would be nice. 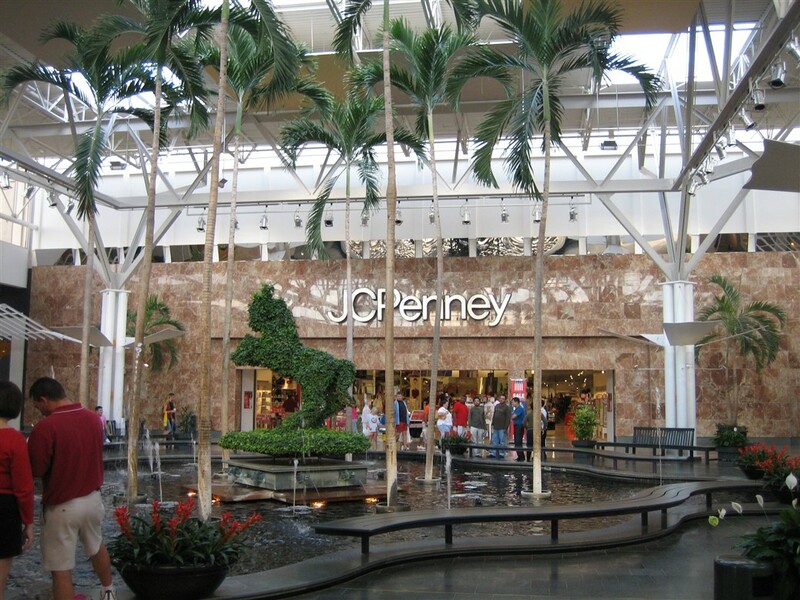 That huge fountain in front of the Penney’s is great, especially the way the palm trees seem to be growing out of the water. I’ll go on record and say Mall St. Matthews is one of my all-time favorite malls, and I think the atmosphere inside does a great job playing homage to the mall’s age but still lets in plenty of natural light (in the photos, you can see where the mall construction changes from concrete to steel.) Although the mall really only has two anchors and holds only 120 stores, it feels plenty large and seems to have a dominant retail footprint. Its relationship with Oxmoor Center (GGP owned and right on the other side of the highway) is fairly unique ( a ton of overlap ), but this is the “young” mall, and Oxmoor is where the MSM customer’s parents shop. Sorry, but I don’t see the change from concrete to steel. Where is it? Does GGP/General Growth own both Oxmoor Center, and Mall St. Matthews? I’ve vaguely heard of this mall, and previously did see that Oxmoor Center was right by this mall. I wouldn’t be surprised if both malls, in essence, compliment each other, and also play to different age groups(w/MSM playing to teens/young adults, and Oxmoor playing to older adults). Very nice mall, btw. 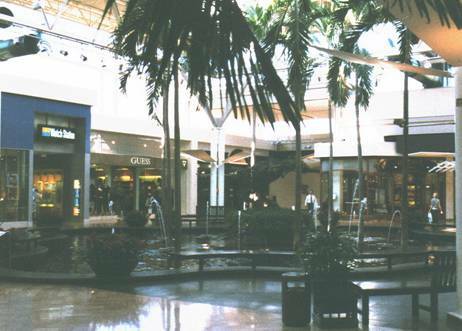 I wish that more malls had kept the planters, trees, and fountain areas in front of the anchor stores in recent years, rather than get rid of them. And also, I recently cringed A LOT when I recently went to Golf Mill(GGP, also the owner of MSM, is doing a current interior renovation of Golf MIll), and saw that they had removed some of the planters and seating areas that’d historically been in the mall for years. I really hope the same thing never happens to MSM, but who knows….. I hate to say it, but some of the planter/fountain areas have already disappeared. The fountain with the blue tile was removed, presumably to expand seating for the food court. Interestingly, it was taken out not long after it was re-tiled in the dark green and beige marble that appears everywhere else in the mall. Also, there used to be four palm trees in the tall court beside the food court, “Picnic.” Kiosks were moved to cover the holes where the trees once stood. The kiosk in the picture is one of them. And, yes, General Growth does now own both Oxmoor and Mall St. Matthews, and similar changes have occurred at Oxmoor, with the removal of about half of its center court fountain. ^In response to Allan — Yes, GGP owns both Oxmoor and Mall St. Matthews. I see I was right about MSM/Oxmoor. And btw, the renovation changes I’ve heard that GGP is doing to MSM sound eeerily similar to some of the ones I have noticed since Golf Mill(in Niles, IL) started its current renovation, as of late(i.e. removing trees where they once stood in the mall, eliminating the former center court’s sunken seating area, adding new ceiling lights to replace the former globe lights that came up from the ground of the mall, to name a few changes at Golf Mill I’ve noticed). The point where it transitions is neat because the ceiling takes on a multitude of colors and the effect is quite neat. Love the fountain with the horse heads. Definitely something unique and different, yet appropriate for the state that hosts the Kentucky Derby. No wonder they took it out… Homogenization (“generica”)? Too bad. Nevertheless, the pictures make the mall look great. I hope they continue to prosper. Yeah, I was at GCPs site the other night, and read about Golf Mill’s renovation project. A shame, myself being into older design elements, but in honesty, that mall needs it. That mall was still stuck in all its late-1970s glory with its globe light fixtures and all the wood and copper tone color palette when I visited back in 2004. I should’ve tried to get interior shots (I got exterior ones) of that place when I had the chance. They’re most likely ‘freshening’ up the place by giving it a ‘blah’ generic whitewash makeover. I could be wrong though. Someone should keep tabs on that remodel for us. I honestly don’t mind a mall getting renovated; sure most vintage interior elements get removed but if a remodel has a “theme” or brings new interior fixtures and colors that make the mall interiors inviting then I won’t complain. That being said I don’t consider painting the walls white, adding advertisments and adding kiosks/removing fountains a renovation. It’s more like crapping up the interior and clogging it with useless obstacles (I hate kiosks that take up more space than the hallway -_-). I’ve gotten various pics of Golf Mill, since the renovation started(some of the older parts of the mall that hadn’t been redone yet, and some pics of the renovated parts). That said, I unfortunately was sorta chickened out due to some reports I had heard about mall security there being overzealous against indoor photography, but I still got some interior pics of that place my last trip there(and now think that if you don’t draw much attention to yourself, it isn’t that hard to get pics of the interior, anonymously). The exterior, however(aside from the new mall entrance that was built by the new 12-screen multiplex theater, and the renovated/brand new entrance into the food court), hasn’t been changed much, for now. The old ‘solitication and distribution of handbills is prohibited’ sign outside of Sears, amazingly, is still there! (and I halfway suspected that the sign would’ve been taken down by now on my last visit, but it hasn’t) I’m still waiting to see if they do any changes to the other mall entrances and to the exterior, beyond the changes I’ve noticed by the new 12-screen multiplex, and by the food court….. Though I no longer live there, I grew up in Louisville and remember when The Mall opened. I also recall when Sinclair Dinoland from the 64-65 NY World’s Fair made a stop there when it toured the US around 1966. I am surprised that the original steel and glass mid-century modern plazas still exist relatively intact. I expected them to be covered with marble by now. When it opened in the early 70s, Oxmoor was the more popular of the two malls, opening with Stewart’s and Shillito’s anchors. There was also a twin movie theatre, the Oxmoor 1 and 2 where I saw several movies in the 70s. 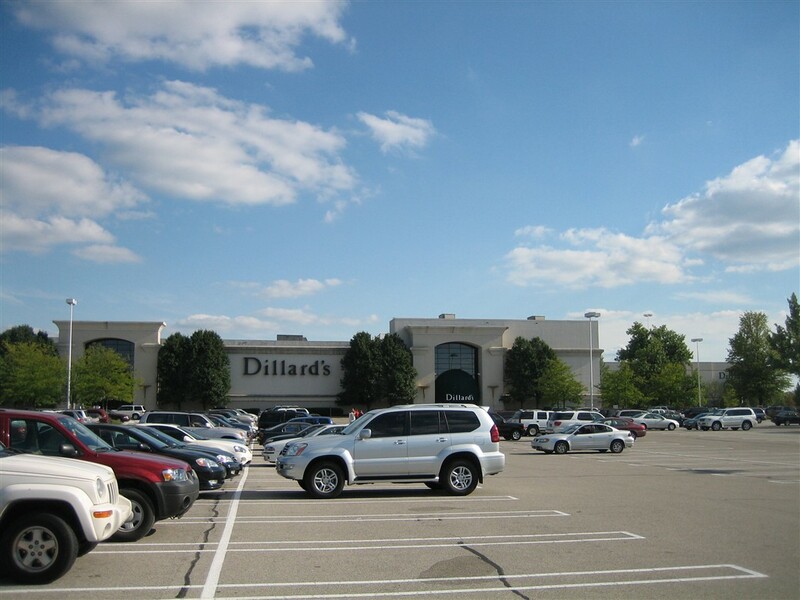 In the category of dead malls, two spring to mind: Raceland Mall on south Bardstown Road and Westland Mall on Dixie Highway, the latter which has been de-malled. It opened with a Grant City anchor and soon after Grant’s died, it was replaced with a Target (though the exterior to this day is vintage Grant City). 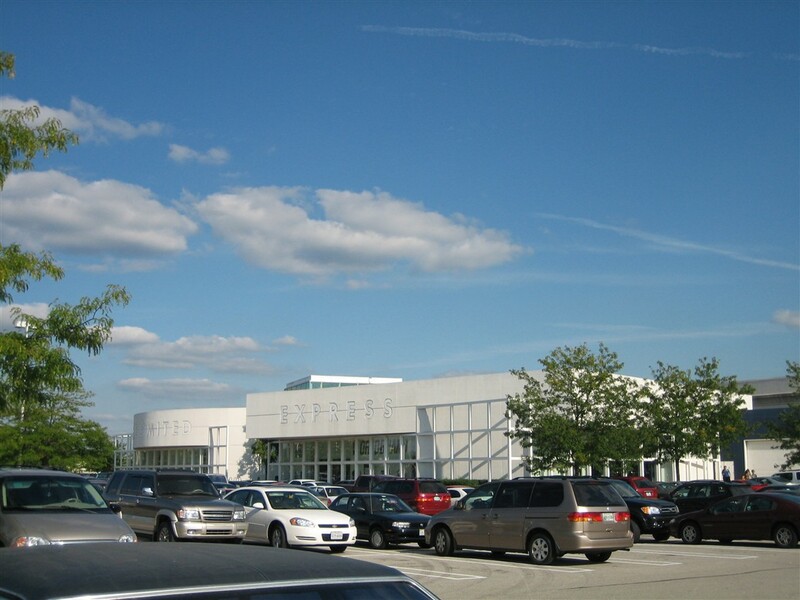 A Consolidated Sales store was already built when Westland was haphazardly bilt next to it. A real dog of a mall, it sat half-built for a few years before finally being completed (cheaply). I remember birds nesting in the exposed rafters. There were no fountains, no frills. It may be said that the nadir of Adam West and Burt Ward’s career could be pinpointed here when in 1976 they stopped here one day to sign autographs. I did the posters. The mall’s odd architecture, so to speak, never made any sense. It seemed to have been designed by Mr. Haney of Green Acres, with a concourse that narrowed down to the width to about ten feet at Consolidated. There was a great deal of wasted space and an enormous parking lot, so it never made any sense. Not a mall, but the most infamous of failed shopping centers in Louisville was the very briefly grand Algonquin Manor. Built around 1960, one of its anchors was the Family Fair department store. One fateful Sunday, there was a gas leak in the garden department and BOOM, Family Fair simply ceased to exist. For years there was simply a chain link fence across the hole in the center of Algonquin Manor, then the neighborhood around it got worse and it quickly became a ghost town. It owned by the same company that ran the once very successful Dixie Manor Shopping Center. Some of Algonquin has been torn down, and what remains is a storage facility. Dixie Manor also still exists, but the original anchors are gone. Ben Snyder is now a health care center (as is the entire Bacon’s Center a few miles away), and the elegant Kaufman-Strauss, added a few years after the center opened, is now the Dixie Dozen Theatres. But originally there were about forty stores, including a Winn-Dixie grocery that had an underground conveyer so you didn’t have to wheel your cart out to your car, you were given a number and picked up the groceries from an attendant in a small building in the middle of the parking lot. Like Algonquin Manor, Dixie Manor was not enclosed, but there were several groupings of buildings on both sides of a walkway which could have been easily malled. Oddly, they chose to tear down these islands not too many years ago. @Scott Santoro, Thank you. I grew up in Pleasure Ridge Park and like so many moved far away. I don’t get home as much as I should and appreciate this news. Although this is very late, I believe the grocery at Dixie Manor was an A&P. 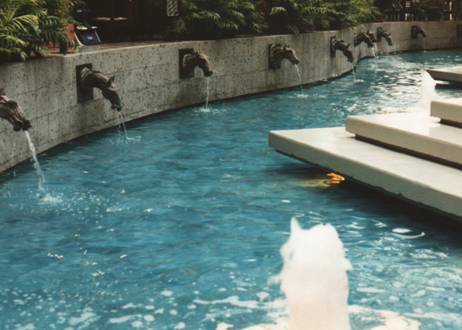 I remember there being sheets of clear plastic or plexiglass appearing/beginning up in the air and cascading down into the fountain pool… specifically in the larger size pool in the food court area. Being part of the fountain, water flowed smoothly down the “invisible” sheet until it splashed into the water. This was, of course, before the food court was there. The fountain gave an illusion of a magic, floating waterfall. My dad would take a few steps down close to the fountain and hold me over the pool so I could reach way out… with one finger… and touch the flowing water. It was cool. I would love to just see a picture of it again. I ate once, as a child, at this mall’s “Max & Erma’s” restaurant location during it’s first run in the Louisville market. Typical of that era, there was lots of very dark wood, tile, and brick. When I visited, there were phones on the table. There were many in our party, so we were spread out at different tables. We could pic up those phones and talk to our fiends at other tables. Though small, there was a 2nd floor that provided offices for the mall operations and public restrooms. The stairs to the 2nd floor stood/hung in a suspended fashion that spiraled upward by way of straight segments and 90 degree turns (similar to the way the stairs currently wrap around the elevator at Oxmoor Center’s center court). The location was within the large, open area around the Bacon’s location; closer to being between the current stores “Body Shop” and “Brookstone.” When I had to take care of business, I was always sure to use the 2nd floor resroom because the stairs offered great views of the mall. The fountain (one of the few left), with the “horse spouts” in the area of the (former) Bacons, New York & Co., and Body Shop, used to be covered up each holiday season with a platform that supported a gigantic Christmas tree made of poinsettias. My memory is fading, but I don’t believe there was an actual tree… it was a tree-shaped structure that supported the plants. It was cool. The view was even better from those stairs to the second floor previously mentioned. If memory serves, the Oxmoor Cinema had four screens… two downstairs and two upstairs. I am a little foggy on the two screens upstairs as far as location… the entrance was in one of the corners of the square-shaped upper level. I’m certain that Old Navy is in the location of the two screens on the lower level. “Christmas Vacation” was the last movie I saw there. 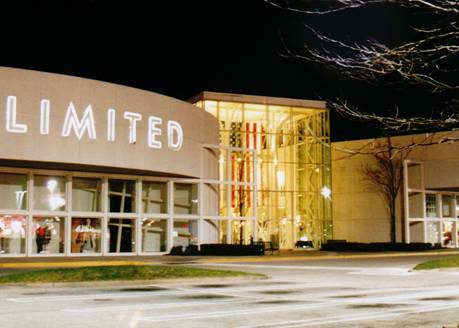 The BEST 70s-era, holiday decoration provided by any Louisville area mall was at Oxmoor, IMO. The sunken, brick-lined center court was transformed into a winter wonderland complete with streams, snow, ice, and many scenes with moving animal charactures. Santa was purched on what I called the “ice palace.” There was more than one way into the center court, but the best way was the covered bridge… overflowing with snow & icycles. Kids could also ride a train that ran the length of the mall (not on a track… regular tires). I used to live in E-town from ’92-98 and used to go to both Oxmoor and Mall St. Matthews. I do remember that even though there was a Jacobson’s store at Oxmoor, St. Mattews was more upscale and you never saw ghetto people there like you did at Oxmoor. I live in Michigan now and watched them build a $3M, 2-story Jacobson’s onto one of the malls here and then they closed all of their stores. So sad to hear about all the decline! will Nordstrom try again for this store do you think? Doubtful. The former Bacon’s/Dillards is being converted to a Forever 21. The Men’s & Home part of Dillard’s has indeed moved over to the Lord & Taylor spot as expected. In a rather strange move, though, the half of the Bacon’s anchor adjacent to the mall concourse was recently converted into a massive Forever 21, while the other half was left vacant. There don’t seem to be any plans for that other half at the moment. I’ve heard of malls splitting vacant anchors into two stores before, but as anyone who frequents MSM knows, that really doesn’t work out there because of its unique layout (and especially at that particular anchor). If they ever do fill up the vacant spot, it’ll be cut off from the rest of the mall unless they put some sort of strange connection between it and Forever 21 or something. I guess they’ll figure that out when the time comes. For now, though, it’s just really strange. Also, that Limited Express seen in the pictures is no longer there. It’s been split into two separate stores: Arhaus Furniture on the east side (left of the mall entrance) and Victoria’s Secret on the west. It certainly makes much more sense than having one store split down the middle by a concourse, if you ask me. As for Oxmoor… well, it’s still Oxmoor. That’s about all I can say there. 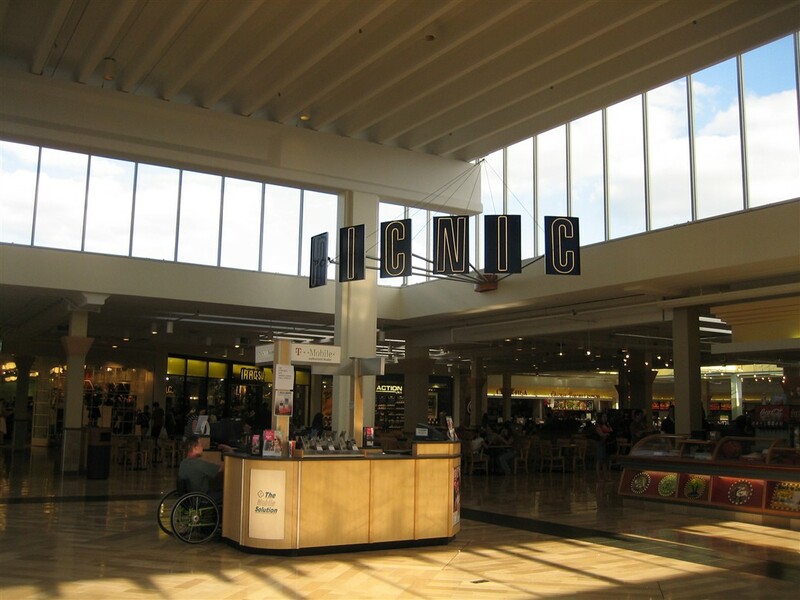 does anyone remember the night club in The Mall? @michelle, Babe’s was the name of it. It was there for some of the 70’s and early 80’s. Sunday nights were for the under 21 crowd.